With the emphasis on the development of reading and math skills during the last few years, many elementary schools have pushed science instruction to the margins. So, it's wonderful to read a good story that is built around a science topic. 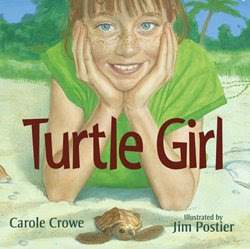 Turtle Girl by Carole Crowe and illustrated by Jim Postier is a lovely story of the special times a girl shares with her grandmother each year as the sea turtles come ashore to lay their eggs. The special nature of Magdalena's relationship with her grandmother is linked to the need to protect the turtles. Then when her grandmother dies, Magdalena is bereft and tries to protect herself from the hurt by ignoring the turtles' annual rituals. 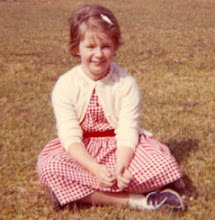 In the end, she remembers that her grandmother said, " I will always be with you, Magdalena, especially at turtle-time." She wakes her mother to go to the beach in the middle of the night just in time to see all the turtle hatchlings scurrying to the sea. She realizes that her grandmother was right as she can feel her presence all around her during this special night. Jim Postier's illustrations are integral to the story as they complement the narrative and create context for this annual ritual that few are privileged to see. i got to see this in australia a few years back and this it is exactly the book I ned to explain. thanks for he tip! Oh, how wonderful that must have been. Thanks for sharing.